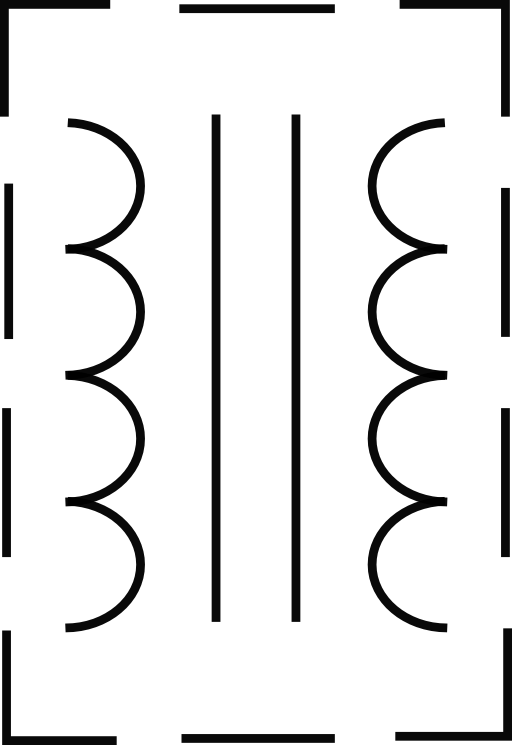 The title of this royalty free vector image is Rsa Iec Transformer Symbol 5 Clipart, which can be described by rsa image, iec image, transformer image, and symbol-5 image. The image can be downloaded as SVG vector format by clicking the SVG button, or as PNG raster format by clicking the Download button. Choose the desired PNG size 64px, 128px, 256px, 512px, or Custom Size by clicking the Size button. The Custom Size option enables you to specify the desired width and height of the image. You can remix or edit the image to add your own touch by clicking the Edit button. Finally, the PNG image is available at several colon variations by clicking the More button.